The secret to a truly stunning carpaccio lies in the sharpness of your knife, a vital tool in achieving the desired slivers of meat. Good quality beef is another important investment, as the flavour of the meat is largely left to speak for itself with minimal flavours and seasonings. 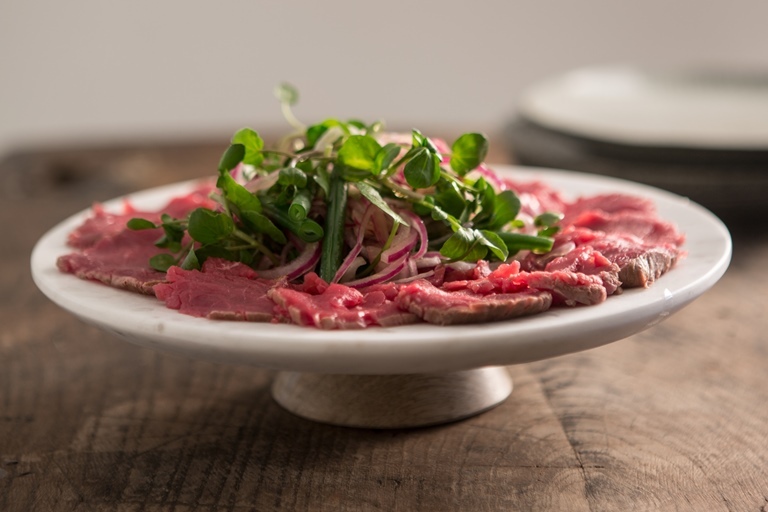 As the majority of the preparation takes place the day before, this carpaccio recipe by William Drabble makes a fantastic dinner party starter that can be sliced up and served within minutes.